Available for purchase is this un raced two-year-old Bay Filly by Al Maher out of Istimewa, a full sister to Ortensia stakes winner Quatronic, who himself has collected in excess of $277k from 7 wins & 20 starts to her 6th year. Almisti’s pedigree is littered with speedy types and is backed up by Danehill, with Danzig, Northern Dancer, Pas De Nom & Natalma inbreeding. The Dam Istimewa was a race winner over 1100m and her Sire Al Maher needs no introduction to astute judges, having won a VRC Australian Guineas at Group 1 Level and was also a winner at Group 2 & 3 As well as multiple Group placings. A beautifully put together Filly who injured a tendon and will require more time to get back out there and show her worth, the current owners have other commitments and are not prepared to wait. Due to her age, she has time on her side and although she’s hit an obstacle all is not lost and based on her pedigree a double dimension of racing and broodmare capabilities gives the buyer options. AL MAHER (AUS) (Bay 2001-Stud 2005). 5 wins-2 at 2, VRC Australian Guineas, Gr.1. Sire of 621 rnrs, 397 wnrs, 34 SW, inc. Delicacy (SAJC Schweppes Oaks, Gr.1), Almalad - Friends of Ka Ying (H.K. ), Fat Al, Diamond Drille, Majestic Music, Budriguez, Silverstream, Classic Uniform, Badawiya, Son of Maher, All Legal, Pheidon, Oasis Bloom, King Lionheart, Monsieur Gustave, Amovatio, Madam Gangster, Speedy Natalie, Felicienne, Marheta, Money Maher, etc. ISTIMEWA, by Nicconi. Winner at 1100m in Aust. Sister to QUATRONIC. Dam of 1 foal. QUATRONIC (g Nicconi) 7 wins to 1200m, A$277,875, Scone RC Ortensia S., L, BRC Dianne Cohen 3YO H., ATC TAB Highway H., BRC Optus Business Centre H., Gallopers Sports Club H., Toowoomba Plastics P.
Diamond Fund. 6 wins to 1400m, A$207,815, SCTC Coastline BMW 5 Series H., BRC Makers Mark H., GCTC Mick Turner H., SCTC Yalumba Wines H., 2d ATC Drummond Golf H., GCTC Matthew Dunn Racing H.
Qfighter. 5 wins-1 at 2-at 900m, 1200m, A$217,002, BRC Kartaway Miniskips H., Instinction at Eliza H., Rick's Doors H., 2d Qld Tatt's RC Hardy Brothers Jewellers H., BRC Superior Pak H., ATC Tab.com.au H., BRC Brisbane Metropolitan Touch Association P., B105 H., 3d BRC Tate Mason H., ATC Instagram H., Ranvet Sprint H., BRC Channel Seven H., Robert Bax & Associates P.
Hebron Road. 3 wins to 1300m, 2d BRC Sky Racing World P.
Little Bit of Suzy. 2 wins at 1100m in 2018-19 in Aust. Tell Everybody. Winner at 1100m in 2018-19 in Aust. Lonely Heart. 2 wins at 1300m in 2018-19, 3d ATC Twilight Racing H.
Our Zidane. Winner at 1400m, 2d BRC Bottle-O H., 3d BRC Andrew Bensley No 1 in News H., GCTC Ladies Day H.
Shanzou. 2 wins at 1200m, 1600m in NZ. Suzy's Rose. 3 wins at 1000m, 1100m in 2017-18, GCTC Striker Fabrications P., 2d Ipswich TC Green Team H., 3d BRC Mekka H.
Suzy's Boy - Great China (Mac.). 4 wins-1 at 2-to 1200m in Aust. and Macau, 2d BRC Secutor Securities 2YO P., 3d Qld Tatt's RC Breakfast Creek Hotel 2YO H., BRC PFD Food Services H.
Grandin. 2 wins at 1000m, 1200m in Aust. SUZY GREY (f County) 10 wins. See above. Virgo's Horizon. 5 wins-1 at 2-to 1300m, QTC Gunsynd H., BTC St Paschals 2YO H., 2d BTC Coca-Cola 2YO H.
Sahara Mighty. 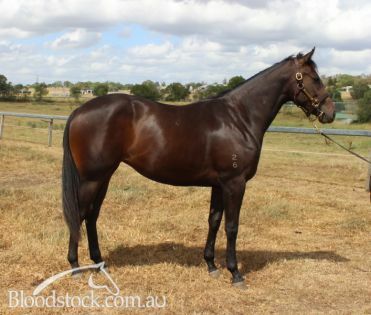 4 wins-3 at 2-to 1200m, BTC Timber Board 2YO H., Members 2YO H. Producer. Sahara Imperial (f Imperial Baron) 8 wins to 1350m, A$150,700, QTC Show H., BTC Billabong P.H., Brisbane Day H., QTC Copperama H., Kanandah S., Dan O'Brien H., 2d BATC Coca-Cola Classic, Gr.3. Hey Elvis (g Clang) 9 wins-1 at 2-from 1000m to 1650m, US$106,964, A$318,200, BTC John Barnes & Co Locksmith H., QTC Xerox P., WH Buchanan H., 2d AJC Villiers S., Gr.2, Qld Tatt's RC Recognition S., L, Del Mar Harry F Brubaker S., L.
General Bayton (g General Nediym) 5 wins at 1000m, 1200m, A$229,975, VRC Hanan Displays H., Aurie's Star H., MVRC Wally Mariani H., 2d SAJC DC McKay S., Gr.3, Mornington RC Hareeba S., L, 3d VRC AR Creswick S., L.